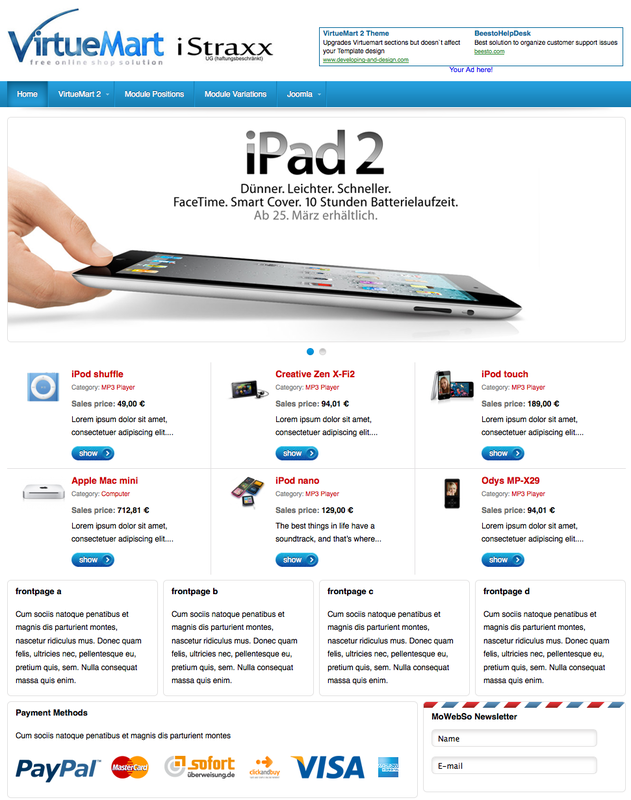 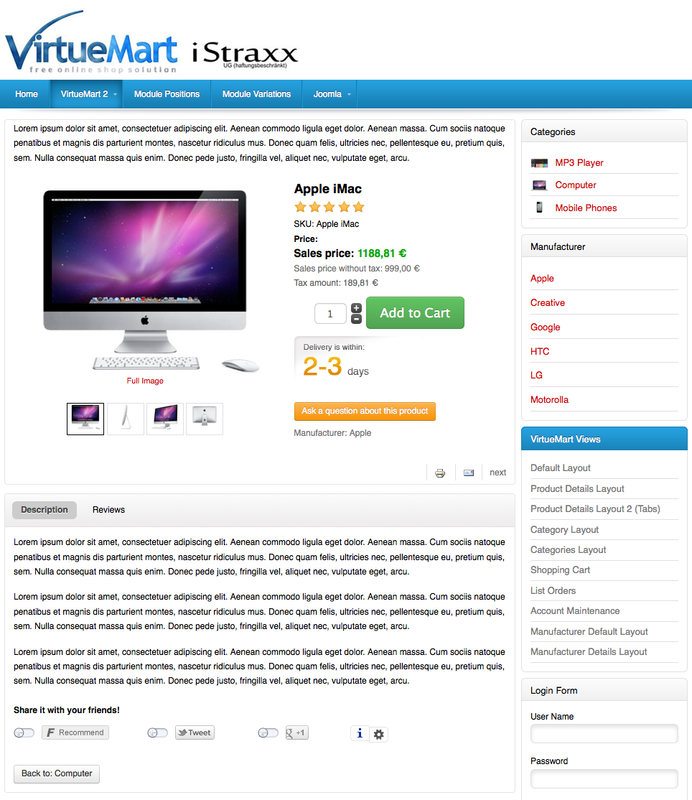 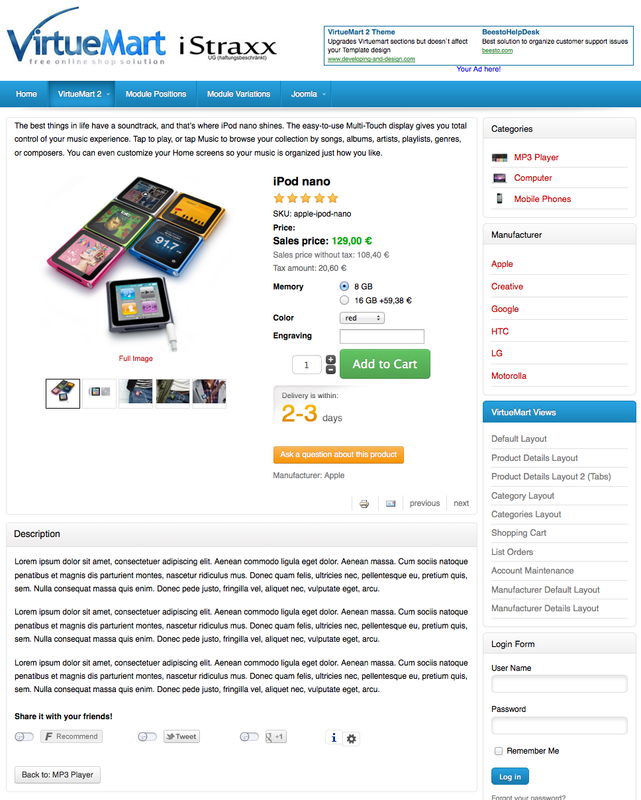 This Joomla 2.5 & Virtuemart 2.0.x template is suited for an ecommerce site. 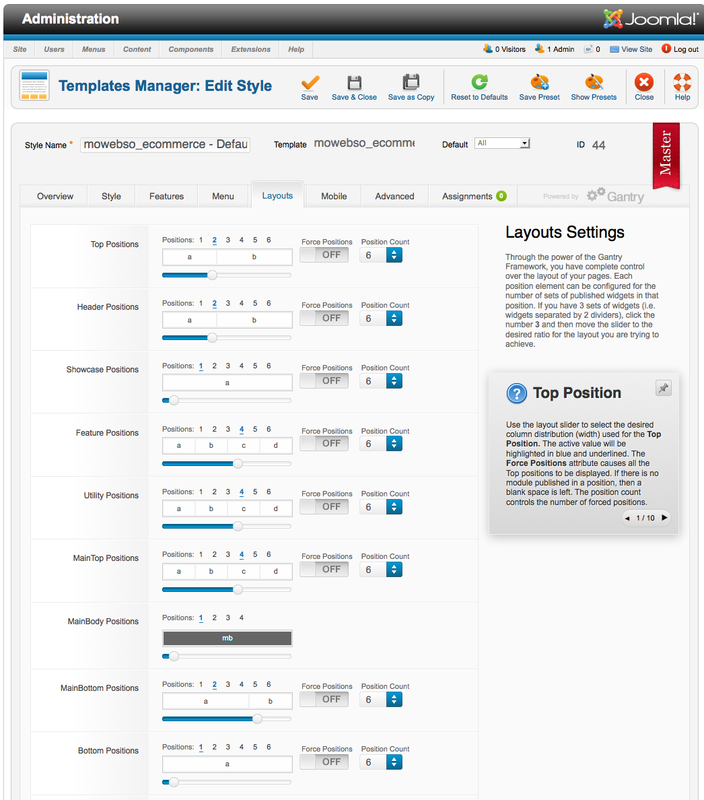 Its clear structuring of the 86 module positions and 27 module variations make the template very user-friendly and pleasant to look at. 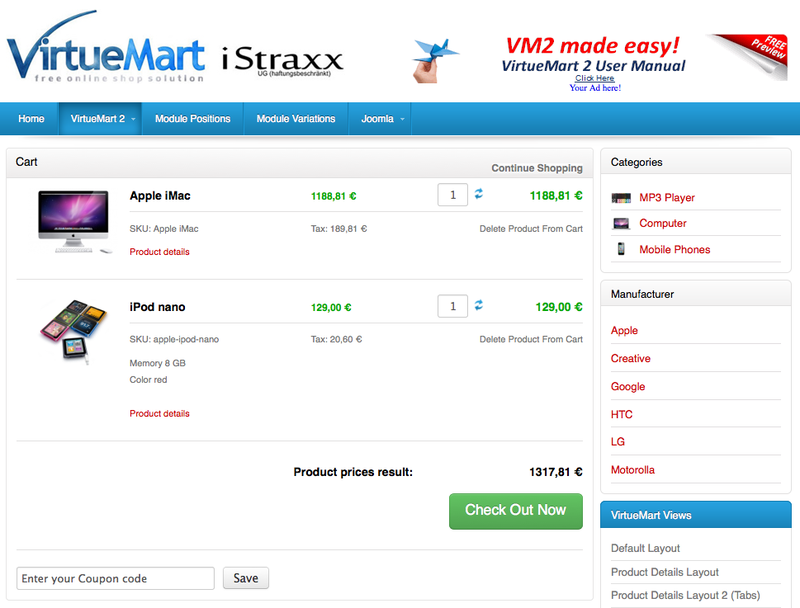 It also includes the VirtueMart theme THEME SHOPLICIOUS , the module ALL ABOUT PRODUCTS and an IMAGE SLIDESHOW. 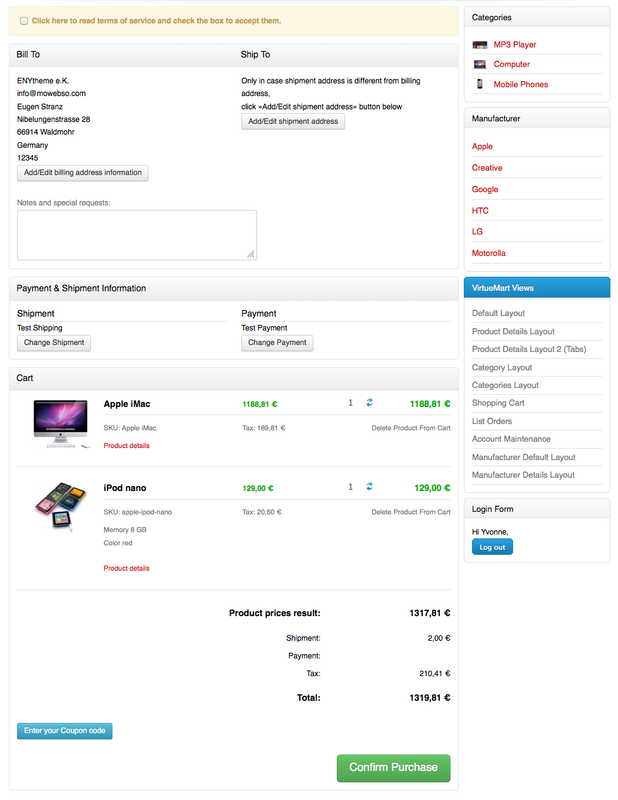 This template is based on gantry framework and easy to setup. 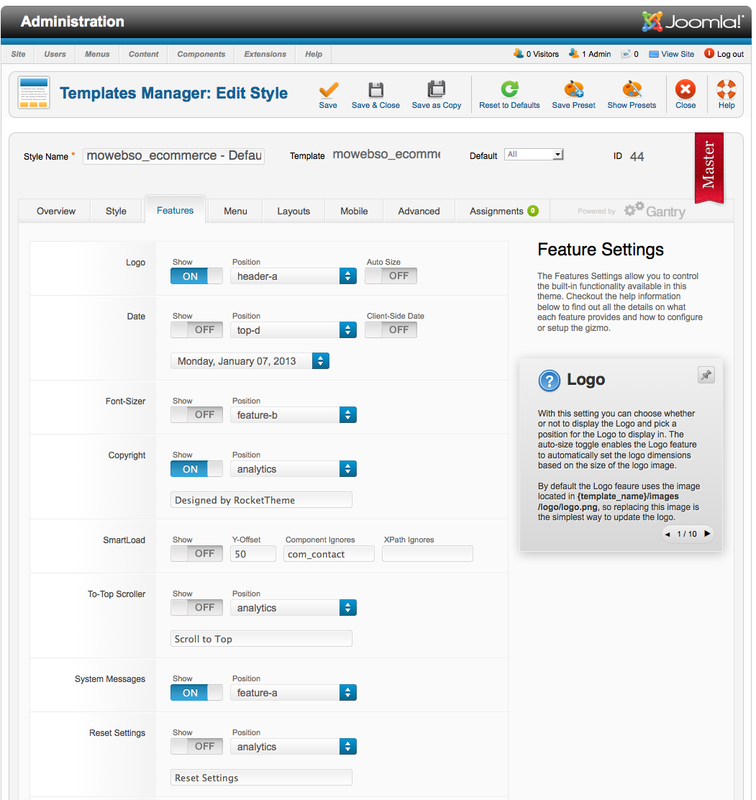 The administration interface is well structured - take a look at the screenshots. 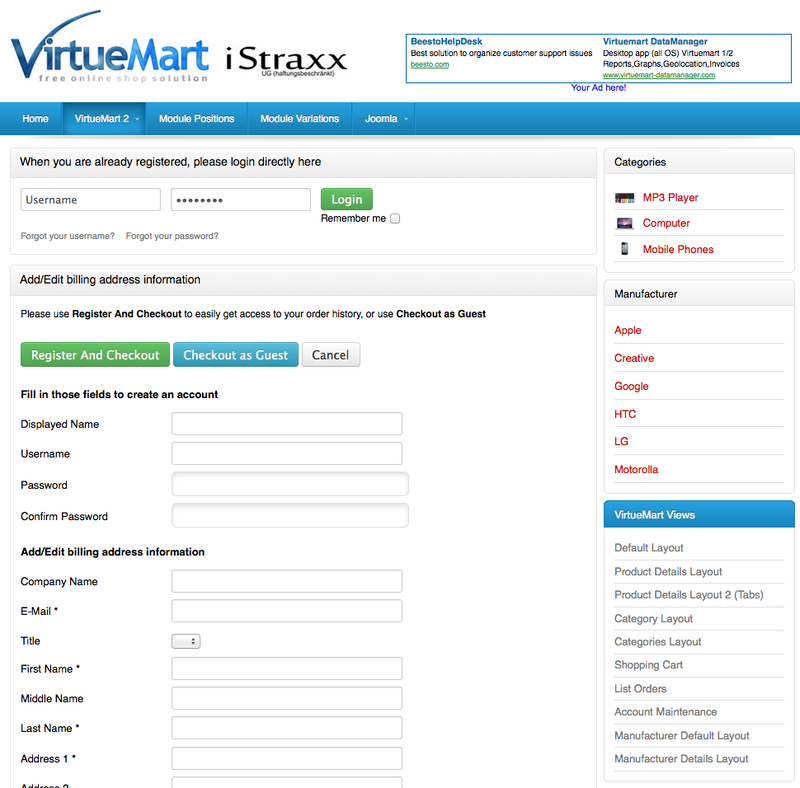 Had a couple of issues at first but the support was excellent, would recommend this extension to others.